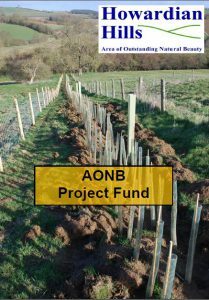 Do you have a project which could help us achieve the AONB Management Plan objectives? Could it be completed by the end of March 2018? Take a look at our Project Fund leaflet and see if you might be eligible for a grant towards the costs. We are currently accepting applications for the autumn season. More details on Howardian Hills AONB grants and eligibility can be found here.